Deborah H. Atkin, M.D. recounts her recent blog series about the non-surgical, non-invasive skin tightening treatment known as Ultherapy®. 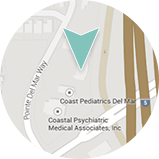 Del Mar, CA – Dr. Deborah Atkin, a board-certified dermatologist in San Diego, performs a variety of skin rejuvenation treatments at Dermatology & Laser of Del Mar. She notes that aging is an extremely popular concern among both men and women alike, and with treatments such as Ulthera®, patients can achieve the healthy, more youthful-looking skin they desire without surgery. To highlight the potential of non-surgical rejuvenation, a recent blog series on Dr. Atkin’s website provides an in-depth look into the Ultherapy® treatment process. In the first blog post, titled, “5 Major Benefits of Ulthera® for Skin Rejuvenation,” Dr. Atkin highlights significant advantages of undergoing the skin tightening procedure. Included among the benefits is the non-invasive nature of the ultrasound technology utilized, as well as the ability to customize the procedure to each patient’s needs. Additionally, Dr. Atkin discusses what patients can expect after the treatment, which includes results that are natural-looking and long-lasting. She elaborates on the long-term results in her second blog post, “The Long-Lasting Results of Ulthera®,” noting how some patients have experienced the rejuvenative effects of the treatment for up to two or more years. In her third and final installment of the Ulthera® blog series, “Am I a Candidate for Ulthera®?,” Dr. Atkin gives readers an idea of who will typically experience the most noticeable skin improvement with the treatment. She explains that the majority of people seeking Ulthera® are over 40 and have mild to moderate wrinkles, though the procedure works to tighten the skin and stimulate collagen for patients of all ages. The San Diego dermatologist also notes that her typical Ulthera® patients often wish to address loose skin of the face, jowls, neck, and chest; however, she offers the treatment method for any area patients wish to rejuvenate. Ultimately, Dr. Atkin encourages anyone interested in achieving a more youthful appearance to explore their options, as there are several available methods for rejuvenating the skin. While cosmetic surgery may be a more effective option for certain people, she notes that non-invasive options can be highly beneficial for most individuals. Dr. Atkin suggests patients seek a board-certified dermatologist to learn what treatments will be most effective for their specific concerns. Dr. Atkin is certified by the American Board of Dermatology. She studied internal medicine in an internship at Scripps Clinic and Research Foundation, and she went on to complete specialty training at the University of Arizona, Tucson. Dr. Atkin earned her medical degree from the University of California, Los Angeles, graduating with honors. She routinely lectures on behalf of the American Society for Dermatologic Surgery and the American Academy of Dermatology, and she is a member of several professional organizations, including the American Academy of Dermatology, the American Academy for Laser Medicine and Surgery, the American Dietetic Association, and the American Society for Dermatologic Surgery. Dr. Atkin is available for interview upon request.